Many people want to become authors these days, to be published and make a living writing fiction. And many of them work hard on their books. Yet only relatively few writers bloom into authors in the true sense of the word — dedication doesn’t guarantee success. I sometimes wonder what makes the difference between those who work hard and succeed and those who work hard and don’t. Is it a question of talent or discipline? Does luck, whatever that is, play a part in it? Has the fickle world of publishing become too commercial? What do we do if we feel the urge to write but are always dissatisfied with our writing? A few years ago, when my urge to write stories grew out of my joy of reading books in English, I was resolved to write a great book that readers couldn’t ignore. 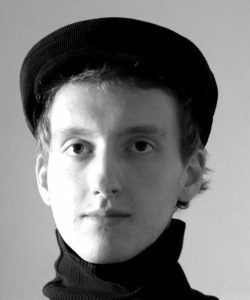 I withdrew myself from society and, working part time as a freelance writer to earn a living, taught myself English and devoted myself to writing my book, which I hoped I would finish in a year or two. A few years have passed since then, and my book is not yet finished. I have written several versions of it so far, but I know I can do better. I’m not even going to bother about sending it to publishers until I can make it as best I can. Now I take my time with it. It took me a while to understand that writing without experience is like soup without salt. Not quite tasty. And with this realization, I understood that a story, like a child, cannot be forced to grow. It needs time to develop, and it needs mistakes to learn from them life. Did you know that J.D. Salinger worked on The Catcher in the Rye on and off for about ten years? I feel that these days, many of the people who want to become authors pressure themselves — like I did — to write something good, something that sells, and to do it fast. Sheer talent helps some pull it off, but we shouldn’t forget that one of the key ingredients of most great books is the author’s personal story, his or her experience and acquired perspective. If all of us sit behind our desks and live normal lives, can we hope to write great books? Can we rely only on our imagination? For my part, I write every day – it’s the first thing I do in the morning – even on those days when I’d rather linger in bed. But I no longer force myself to write all day, like I used to do. I take things easy, making writing my foremost pursuit, but leaving enough room in my life for other people, for intimacy, for nature, for cooking. Most of us writers are by our nature solitary and prefer the quietness of a locked room. But in our day and age, when technology keeps us so connected and enables us to work from home and buy things online and have them delivered to our door, there may be the risk of becoming a little too withdrawn. That can put unnecessary pressure on us. And it can leave us yearning at night, before we go to bed, for something more than what we already have, for something more than the freedom to do what we most enjoy. If you want to write a novel, I urge you not to make the mistake I made. Write every day, but don’t put your life on hold, don’t turn your back on the many opportunities that life offers you. Cherish writing as a way of life, with all its ups and downs. And don’t be afraid to take your passion out there into the world. If it’s a true passion, you won’t lose it — the world will only make it burn fiercer; if it’s not, you will discover out there another passion, perhaps more rewarding for you, that is worth pursuing. Even if something else comes between writing and you, you’ll always have writing to go back to when life gets tough. The blank page will always await you, no matter who you are, no matter what your day job is. Don’t write to live; live to write. What is writing for you? How often do you write? What about you? Are you working on something right now? oh yes. and it has taken me a year just to realise who the narrator is. I like to think of it like baking a super complicated French cake without a recipe. It has taken me over three years and tons of complete rewrites. I don’t want to waste anyone’s time, so all the work and learning involved will be worth it. You’ll know when it’s done. Tenacious Susie! I wonder, did you lose your patience along the way? I get pretty impatient waiting for professional editors. I gave up on the last one and started querying last week. Fingers crossed. I think it’s done! Onto the next one. Cheers to Susie! Have you tried a woman editor born under the Virgo zodiac sign? Nothing beats them when it comes to attention to detail! I’m not sure when they were born. Most likely under the sign of procrastination. I got enough feedback from the second one before she flaked. Everything that I write starts and ends quickly. Mostly in the form of poetry. No thought lasts for long, but the same thought reappears often in different words. I don’t know if I could create a book, unless it was a compilation of short poems. That’s true for me too when it comes to short pieces. Writing poetry and short stories is a bit like sprinting, while writing a novel is more like a marathon. What about your short pieces, do you ever leave things unfinished? 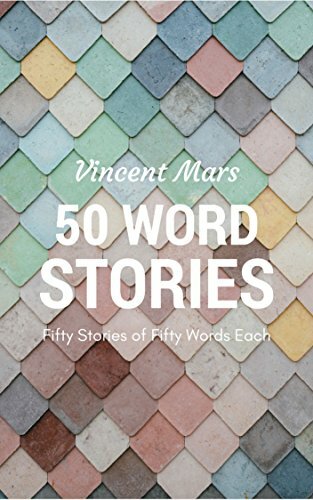 Speaking of which, I love your 50 word stories!! I’m glad you do. Do you have a favorite by any chance? I am curious. Oh…I am so sorry to hear this happened to your grandmother too! With me, the doctors found the lung cancer accidentally. Finally, I requested a ‘second opinion’ from Johns Hopkins hospital. I thought the lung specialist there would say something completely different, and tell me that everything looked OK.
And then, what was supposed to be an easy biopsy turned into a 6+ hour surgery. Because, it really was lung cancer (even though I never, never believed it). it was ‘ Stage 1A’ lung cancer. Now it is gone and so is one of the lobes of my right lung. The doctor said lung cancer kills a lot of people because, by the time it hurts enough to be noticed, it is way too late to do anything about it. But, it is hard to convince someone (especially a singer) who feels perfectly fine–to come in and endure a painful procedure. I didn’t agree to have the surgery until late January 2015, but I wrote a post in August 2014 (5 months earlier), about worrying all night and attempting to sing the worry away. The post is called “Singing Darkness into Light.” If you press the play button on the horizontal black bar….you can hear my voice. I was afraid, if I agreed to the surgery, I might end up with no voice. If that happened, would I even want to live? I didn’t know. Wow! That is quite a story, Mary. I don’t know what to say other than to thank you for sharing your story. I myself have been visiting doctors this spring, and while I won’t presume to say I can understand what you had to go through, I have had a taste of the quiet distress and intense frustration occurring during medical adventures. My grandmother did not have surgery. She died two years ago. She refused surgery. First she was scared, secondly, she thought she was too old for it (74). Lastly and perhaps most importantly, she did not want to put us, her family, through the painful experience of taking care of her. She had been quite independent in her own way all her life. Agreed. The surgery is dangerous and extremely painful. Remaining independent is important to me also, and I do not like the idea of eventually becoming reliant on others either. If I were to receive this diagnosis again when I am older, I wouldn’t do it again. In the end, retaining some quality of life is better than holding on for a few more years. Thank you for sharing that with me, Mary. It sounds interesting, to say the least, and I shall take a look at it. Such sounds words of wisdom and truth. Thank you for sharing. Great blog, brother. Writing truly is put on the inside of a soul. A gift. To me, the beauty is simply opening that gift each day. And when that happens, you not only receive that gift from God, but now share it for others. Oh, it’s certainly only beginning! I am almost 24, but I am even younger at heart and quite boyish in appearance. As a child, I didn’t read at all. It was only after dropping out of school that I started reading. Now I read every day and it makes me happy. Beautiful read 🙂 It gave me hope to carry on my dream of writing..
May the ink on your quill never dry! Reblogged this on Musings Of An Addled Mind. Great blog.We can espy something new and innovative way of writing for us not tacking to one thing.A radical blog to read for bracing up your free time. First of all, I think you are not considering one significant thing that makes a writer great and that makes the difference between successful and not successful writers (however talented or hard-working they are): readers. You cannot be an acclaimed author, no matter how much hard work and soul you have put into art without an audience. “If all of us sit behind our desks and live normal lives, can we hope to write great books?” The answer is obviously no. Good writing does not come from a place of comfort, but from struggle, experience, most often painful experience because in suffering there is depth, while comfort and happiness are just surface. The last paragraph was the one that made me tear. There is no need to put any pressure on you: you are already a great writer. Live as intense as you can and writing will stream out of it. I do not write every day (as you well know) and I wouldn’t want to. I feel it would just become like other things I do on a daily basis like eating and sleeping. I do read every day. But I prefer to write when I’m inspired, if it’s once in two months, but it’s something good, then so be it. There are few things like the feeling of being “struck by lightning” in the process of writing. I cherish those moments. Awwww. So I made you cry? Without even wanting to? Fiction books do get better with time, girl. Especially when it comes to fantasy stories, which rely a lot on world-building. The more you rewrite something, the ‘better’ it tends to get, up to a point at least. I’m not there yet. If you ever decide to write a book, fiction or non-fiction, you will write every day. But did you know that writing can also spring from the gaps left by experience? I enjoyed your comment. Thank you for writing it. This is a really great essay, Vincent. Beautifully written. I needed this post. Thank you! 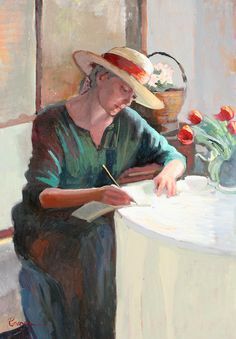 I write to heal, i plan to one day write a book…. one day. I wish i had time to write every day. But my kids never allow it. So i make sure every second day i sit and let it all fall out. Keep on at it! Many great women writers, including Isabel Allende and Sylvia Plath made room for writing in their lives while raising children. Thank you 🙂 I haven’t heard of these women, i’ll have to look them up. Hi Vincent, interesting read. My preference is for fast paced adventure fiction and I am always telling myself that no ‘literary’ concepts or devices should appear. However once I begin my characters start bringing them in through their words and actions. In particular the veracity of human nature never fails to make an appearance. I’ve never really understood the absolute need to write as a hunger, for me it is more of a wish to write something others can enjoy as entertainment. Look forward to reading more of your work. Your words are true. I have been working on three different books for four years and not one is complete. not even a chapter two I’m afraid. In answer to your question, all the time. If I am not physically typing words, I am thinking them. And as for material success from writing, well, I dispelled that illusion a long time ago. I cannot go on living each day in expectation of the next post; life is too short and too precious for that. I do believe successful writers are born, but having been through that experience they have then to be shaped by life in a certain way. It is that altered point of view that some may call imagination, or creativity, or even wisdom. And yet it has to be a point of view that others find attractive – otherwise it will never be read. Thoughtful observations again, Frederick. I’m glad whenever you stop by here. I am new to the blogging world, and seriously your post is the second I read, I find your blog interesting. wow…it arouse the urge to keep on even when faced with seemingly insurmountable odds… especially here in africa….keep me on the poetic track that i subscribe to…published or not, A poet I remain..
A beautiful essay on writing as a way of life. There are many ways to write and forms of expression. Is it through writing in your own personal journal? What about short stories? Poetry? A possible novel? Or is it writing academic articles? Policy reports? A PhD? What is writing for you? How often do you write? Thank you for this very reflective post. I think it raises many questions on how we aspire to write but also what is really attainable. I’m glad you discovered 50-stories through this blog. Keep writing them! You cannot write about other experiences if you do not have your own! What is writing for you? How often do you write? – That’s I want to find out if writing is one of my gifts..I always write from home to work and from work to home..
I’m no big writer…but it still is my passion. What you’ve written is something I’ve often wondered about myself. What makes a good writer? What about all those desperate wannabe writers who don’t come up despite their dedication towards writing? Well, I believe a good piece of writing can never be forced. It’s as if you’re under a charm when you write…and if something interrupts you the charm is broken. Reblogged this on Đoàn Minh Hằng. Wow. Reading this makes so much more sense. Honestly I did start writing a book but one day I just deleted the entire thing. It was like for some days the book made all the sense to me but then suddenly it didn’t. Maybe I was just rushing into it or did not think about what I wanted to write. I’m not quite sure what you mean by that, Tall Abbasi. i think we can not made a guess how our destiny works. sometimes, God have another choice for every person’s life. Perhaps we think that decision is bad, but we just enjoy the life. I love writing. Writing is my life. I have attempted to write a short fiction story many times, but I failed to do so. Looking for concentration. Vincent, your blogpost are so amazing; they make me cry! I am glad you enjoy your stay here. Reading your section was great,I begun to wonder too, if what is writing for me,though I always tell my friends that I love writing though am not a writer,importantly, it helps me realize tonight, if why I love writing. Dear reader of my blog, I invite you to discover some of my best posts from 2015. Enjoy! Thank you for the wonderful post and inputs on writing… Great help!! Luck inevitably plays it’s part. No matter how skillful the pen the chances are it will be turned down at least a few times by the main agents and publishers. This isn’t because a book is bad but because it’s a matter of taste and of timing. Taste because even the most discerning agent will know what they like and authors are in their hands. Timing , because you may just send a book where the subject is the new popular genre at that time. Luck also plays a part in those books that have been picked up from the internet, including Shades of Grey which many accuse of not being well written. I know my books could never be mainstream and I can live with that. I also know after a lifetime of reading that there are truly excellent Indies out there who deserve to be published as well as authors I’d never want to read again from the top lists of people like Penguin. Books are subjective and publishers have their likes and dislikes which are not a reflection on your writing. Good luck with your book Vincent. Thank you for your thoughtful and insightful comment, David. I am wondering, what do you make of ebooks and the self-publishing business they are fueling? This exactly what I really needed to read. Great piece!